Pro-Line Super Swamper XL Giveaway « Big Squid RC – RC Car and Truck News, Reviews, Videos, and More! It’s giveaway time! 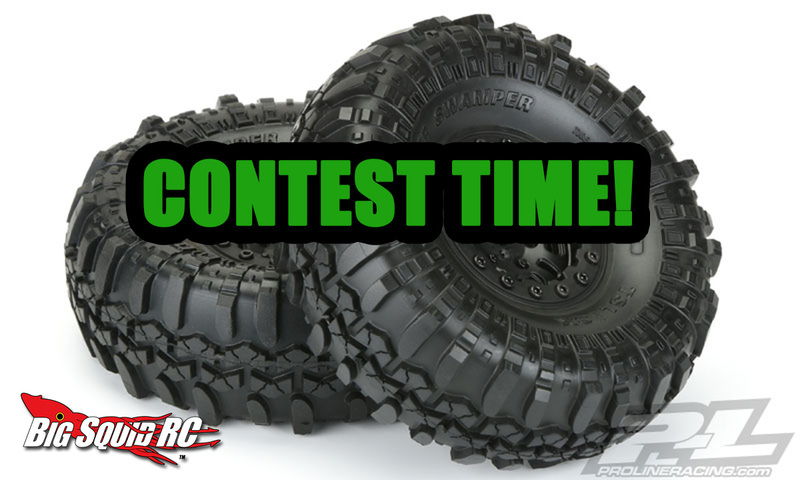 With the help of Pro-Line Racing we are giving away 2 sets of their Interco TSL SX Super Swamper XL Premount tires. We have a set of 1.9″ and a set of 2.2″ for you to add to your ride! 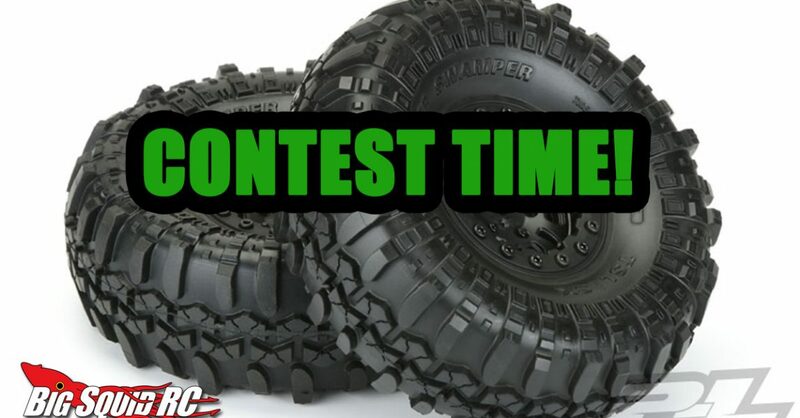 The contest starts right now and ends Friday August 26th at midnight cst. 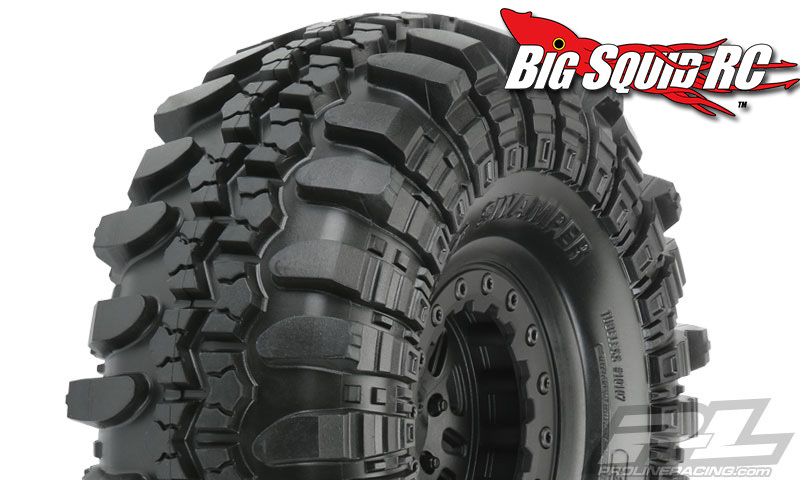 One set #10107-10 Interco TSL SX Super Swamper XL 2.2″ G8 Rock Terrain Truck Tires Mounted on FaultLine 2.2″ Black Bead-Loc Wheels that you can read all about at This Link. 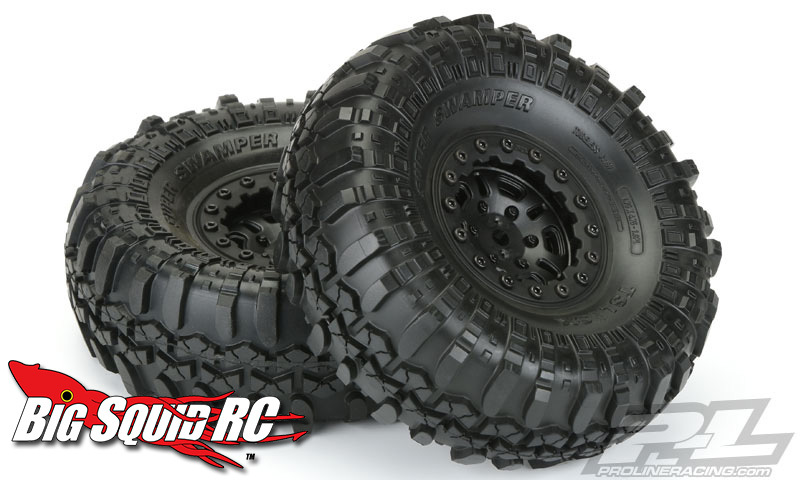 One set #1197-10 Interco TSL SX Super Swamper XL 1.9″ G8 Rock Terrain Truck Tires Mounted on FaultLine 1.9″ Black Bead-Loc Wheels you can get the info at This Link. We are giving a set to two different winners. Winner are chosen at random by our automated software and will be announced shortly after the contest ends. One of the raffle questions asks what size you would prefer, so make sure you answer that part. We will also toss in some Big Squid RC Swag, so what are you waiting for? You know what to do. Good luck!